NetControl.net Archive of ::"Claude Cat"
Claude's page was designed and programmed by Moravec Design. 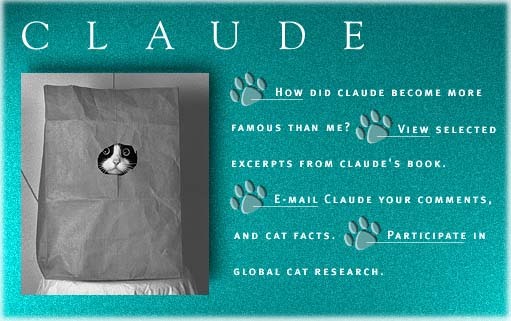 Claude's page is optimized for viewing with Netscape 1.1 or higher. ©1996 West & Moravec. All rights reserved. Photography ©1996 Randy Moravec. All rights reserved.